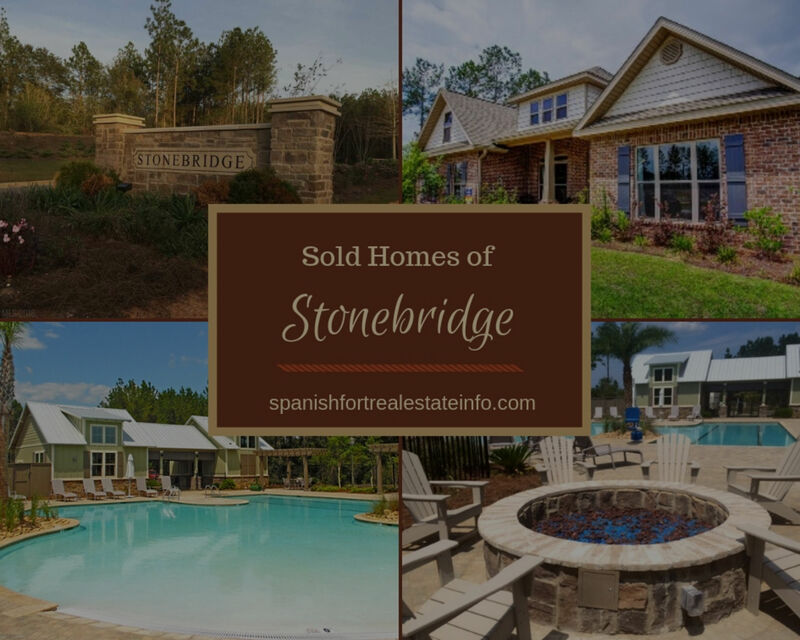 Stonebridge is one of the most popular neighborhoods in Spanish Fort attracting new buyers from all over the area. Here you’ll find a large neighborhood with Craftsman Style homes with a very nice amenity package. 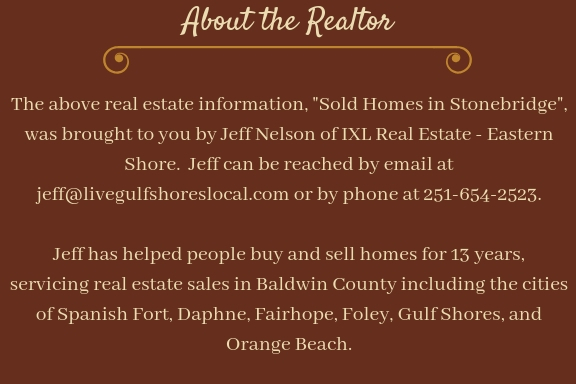 As a Spanish Fort Realtor, I highlight sales of popular neighborhoods in order to give both buyers and sellers better information to make an informed decision. Please contact me if you need more information for this impressive community. Stonebridge is perfect for buyers who are looking for brand new homes under $400,000. The real estate market information below is taken from sales in September of 2018. If you’re looking for a family friendly neighborhood with many different floor plan options and great amenities, you should definitely check out Stonebridge. With 10 homes closing in just in the month of September, there is no doubt that Stonebridge is drawing in buyers. This is great information to have if you’re buying or selling. You’re able to see the final results from the sale of brand new homes in a popular neighborhood of Spanish Fort. Are You Thinking About Buying a Home in Spanish Fort? I would love the opportunity to work with you on your next purchase and will work hard to negotiate the best possible price and terms for you. Please visit the main real estate page for Stonebridge of Spanish Fort to see extensive information on the neighborhood, homes for sale, and the community. Contact me for more information on the neighborhood or any of the homes for sale in Stonebridge.